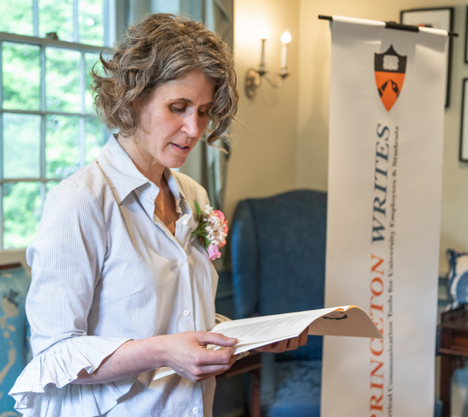 Every year, for the past three years, Princeton University’s Princeton Writes program has sponsored a staff writing contest. Well, guys, uh…this year I won the contest! So please forgive a bit of horn tooting. I put blood, sweat, and more then a few tears into my entry, and I’m a proud essay mom. The Princeton Writes program focuses on non-academic writing and clearness of communication. They offer classes, tutorials, writing retreats, and an annual essay contest in collaboration with the Office of Alumni Affairs and the Humanities Council. This year’s contest topic was to “describe an encounter or relationship that has given you a new perspective.” The results were truly moving. All of us gathered at a reception earlier this month, and I was invited to read my essay out loud. Which was terrifying. But the whole gang showed up to get me through. Full disclosure: they served wine and mini cannoli at the reception. The links to the essays are below. We also recorded us reading them in a studio (very cool!). So if you scroll to the bottom of each page, you’ll find a sound file as well. If you’d like to read more about the authors, please see this article by Adrianne Daponte. I often feel like I’m writing in a void. Therefore, it’s incredibly encouraging and validating when someone likes and honors your work. 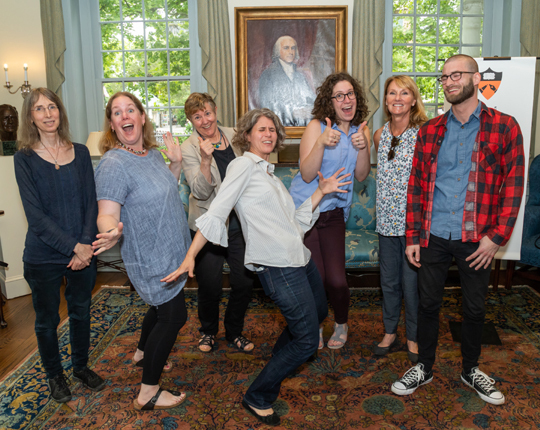 I’d like to sincerely thank – from the bottom of my heart to the tips of my typing fingers – the Princeton Writes program for allowing writers a chance to channel and share their thoughts. Thank you so much. 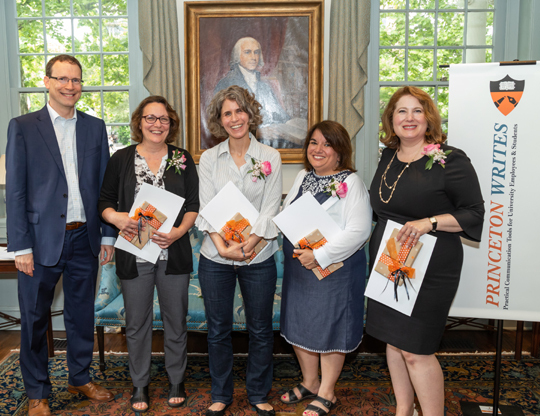 This entry was posted in Announcements and tagged award, Carla Zimowsk, contest, Dana Sheridan, Dianne Spatafore, essay, John Wereen, Melissa Moss, Princeton University, Princeton Writes, staff, writing by Dana Sheridan. Bookmark the permalink.